With the HTC One M8 available for several weeks now, it was only natural that rumors of a "mini" version were going to surface. 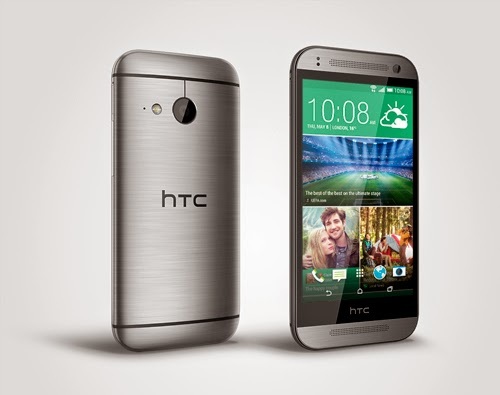 Now HTC puts an end to the rumors by officially announcing the HTC One Mini 2. The One Mini 2 has a 4.5-inch 720p Super LCD 2 (326ppi), a 1.2Ghz quad-core Snapdragon 400 processor, 1GB of RAM, 16GB of internal storage (with a microSD slot), a 2110mAh battery, Android 4.4.2 KitKat with Sense 6.0. If the specs seem familiar it's because they fall very close to that on the original One Mini. Looks wise, the One Mini 2 looks very much like the M8 with the unibody aluminum. What is noticeably different is the missing Duo Camera which HTC replaced a more conventional 13MP BSI camera. No word on Canadian availability, but if things go like with the original One Mini, we expect a US carrier to pickup the One Mini 2, then probably a Canadian carrier afterwards. There's a lot of good going on in the HTC One mini 2. For many it will be perfectly powerful, the battery performance is reasonable if not exemplary, but the software experience is one of our favourites in the current market.